This show-stopping necklace is made from Gold Plated 925 Sterling Silver, with Enamel and Cubic Zirconia details. 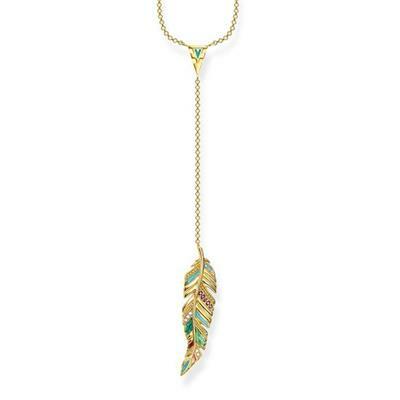 The beautiful feather pendant hangs from a lariat style chain. The perfect piece for effortless boho flair.